Did Hedge Funds Drop The Ball On Ally Financial Inc (ALLY) ? With the fourth-quarter round of 13F filings behind us it is time to take a look at the stocks in which some of the best money managers in the world preferred to invest or sell heading into the first quarter. One of these stocks was Ally Financial Inc (NYSE:ALLY). Ally Financial Inc (NYSE:ALLY) shareholders have witnessed a decrease in hedge fund interest recently. 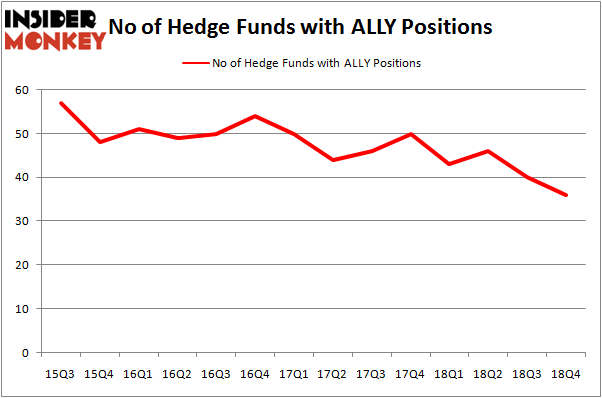 Our calculations also showed that ALLY isn’t among the 30 most popular stocks among hedge funds. We’re going to view the new hedge fund action encompassing Ally Financial Inc (NYSE:ALLY). What does the smart money think about Ally Financial Inc (NYSE:ALLY)? At the end of the fourth quarter, a total of 36 of the hedge funds tracked by Insider Monkey were long this stock, a change of -10% from the previous quarter. Below, you can check out the change in hedge fund sentiment towards ALLY over the last 14 quarters. So, let’s examine which hedge funds were among the top holders of the stock and which hedge funds were making big moves. The largest stake in Ally Financial Inc (NYSE:ALLY) was held by Oaktree Capital Management, which reported holding $265.7 million worth of stock at the end of September. It was followed by Lakewood Capital Management with a $246.2 million position. Other investors bullish on the company included First Pacific Advisors LLC, Cyrus Capital Partners, and Canyon Capital Advisors. Due to the fact that Ally Financial Inc (NYSE:ALLY) has faced falling interest from hedge fund managers, logic holds that there is a sect of hedgies that slashed their entire stakes heading into Q3. 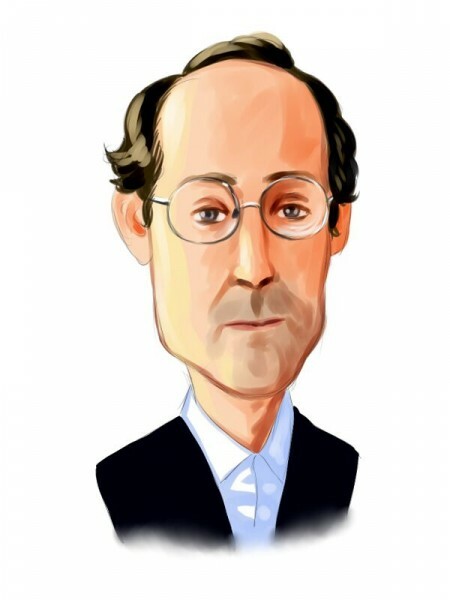 Interestingly, Joshua Kaufman and Craig Nerenberg’s Brenner West Capital Partners dropped the biggest investment of the “upper crust” of funds tracked by Insider Monkey, worth close to $65.8 million in stock. Lee Ainslie’s fund, Maverick Capital, also dropped its stock, about $6.3 million worth. These transactions are important to note, as total hedge fund interest fell by 4 funds heading into Q3. Let’s check out hedge fund activity in other stocks – not necessarily in the same industry as Ally Financial Inc (NYSE:ALLY) but similarly valued. These stocks are Pearson PLC (NYSE:PSO), Norwegian Cruise Line Holdings Ltd (NYSE:NCLH), Juniper Networks, Inc. (NYSE:JNPR), and Duke Realty Corporation (NYSE:DRE). This group of stocks’ market values are similar to ALLY’s market value. As you can see these stocks had an average of 24 hedge funds with bullish positions and the average amount invested in these stocks was $445 million. That figure was $1860 million in ALLY’s case. Norwegian Cruise Line Holdings Ltd (NYSE:NCLH) is the most popular stock in this table. On the other hand Pearson PLC (NYSE:PSO) is the least popular one with only 5 bullish hedge fund positions. Ally Financial Inc (NYSE:ALLY) is not the most popular stock in this group but hedge fund interest is still above average. This is a slightly positive signal but we’d rather spend our time researching stocks that hedge funds are piling on. Our calculations showed that top 15 most popular stocks among hedge funds returned 19.7% through March 15th and outperformed the S&P 500 ETF (SPY) by 6.6 percentage points. Hedge funds were also right about betting on ALLY as the stock returned 19.9% and outperformed the market as well. You can see the entire list of these shrewd hedge funds here.